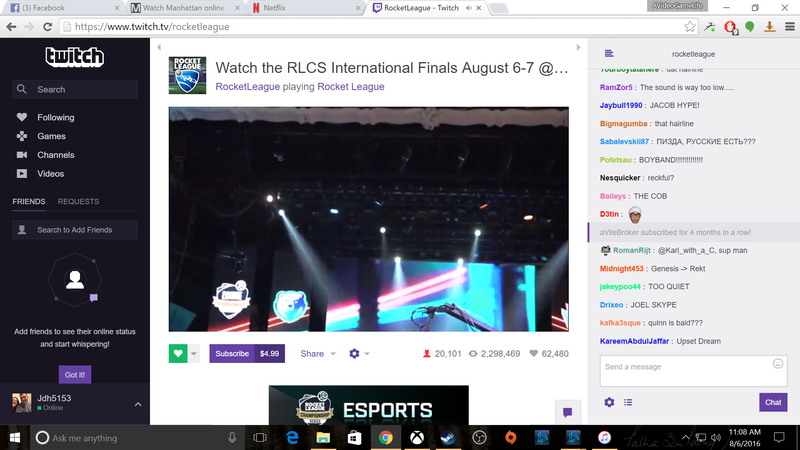 I was browsing Twitter yesterday morning when I came across a tweet about the Rocket League Championship Series, of which the first day of the finals was to air on Twitch. Between checking out EVO on ESPN and watching the documentary “Free to Play” I’d been interested in checking out eSports lately, so I decided I would watch. Rocket League is easily one of my favorite games of all time, and this would be the first time I’d be watching an eSport competition in a game that I actually play. I figured it’d be interesting to see what high level play looked like, and I eagerly tuned in as the event began. Right off the bat I was a little put off by the commentating crew. They seemed to be struggling to provide interesting commentary, and one commentator used the phrase “like” so much that I could barely endure listening to it. 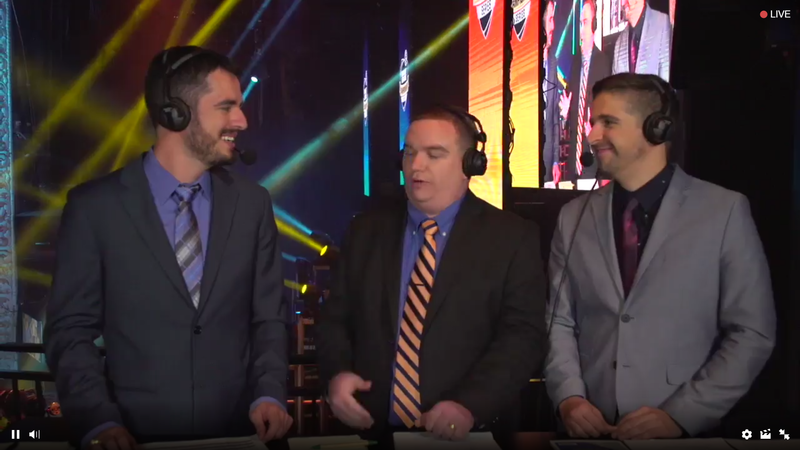 This is one area that eSports events really need to work on if they want to attract a more mainstream audience. 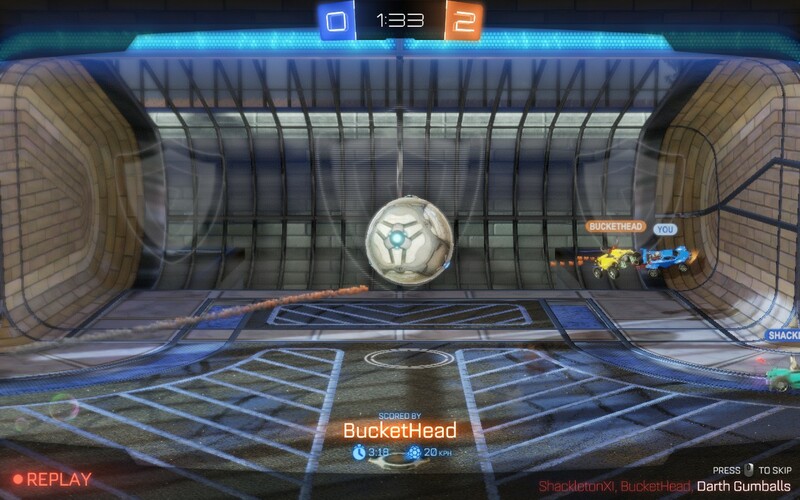 Once the first match began, I started to realize that Rocket League isn’t very entertaining to watch. 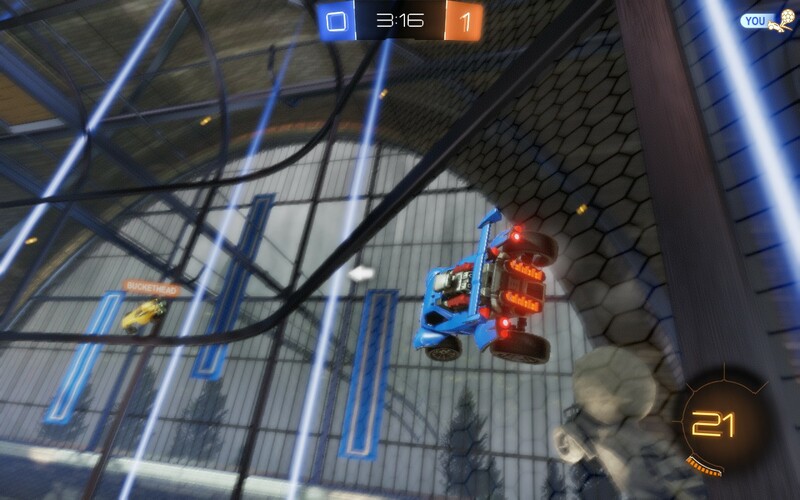 Despite the competition being between some of the best players in the world the play seemed as chaotic and random as just about any Rocket League match I’ve ever participated in. That’s not to say the players weren’t skilled, I could never pull off any of the aerial plays that they made look easy, but it all seemed random, and there didn’t seem to be much strategy involved. Maybe it was just the way they switched between cameras, but it all just seemed chaotic and none of the play looked smooth. I probably could have kept watching the event out of curiosity, however the quality of the stream was a deal breaker. The video outside of the gameplay was fine, but during matches the video was stuttering like crazy, it was like watching sub 30fps gameplay and my eyes couldn’t take it. Whatever they were doing to capture the gameplay just wasn’t allowing for a quality production. It certainly had nothing to do with my internet connection (which is 200mbps for the record) because when they were showing video inside the arena it was clear and perfectly smooth. I saw many other people complaining about a video lag in the chat, and once I realized it wasn’t going to get any better I had to stop watching. The second leg of the Rocket League Championship Series final airs today at 10AM PDT, however I don’t think I’ll be giving it another chance. Even if the gameplay stream quality were to be fixed I don’t think I’d be able to find watching other people play Rocket League interesting. 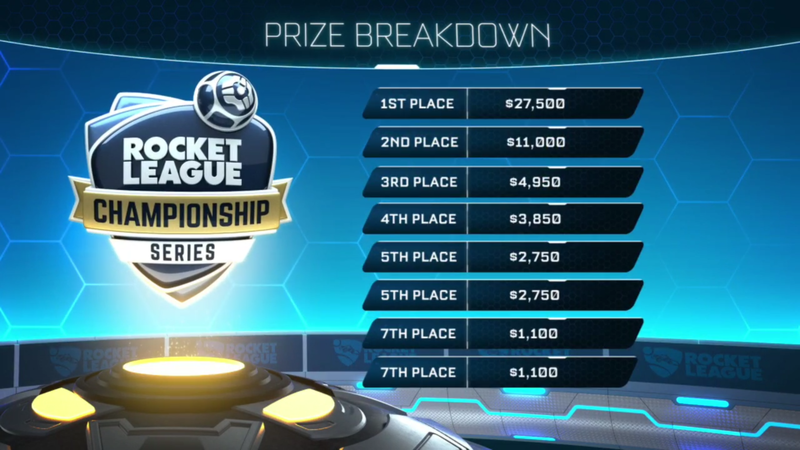 Did you watch any of the Rocket League Championship Series? What did you think of it? Is Rocket League a game worthy of eSports? 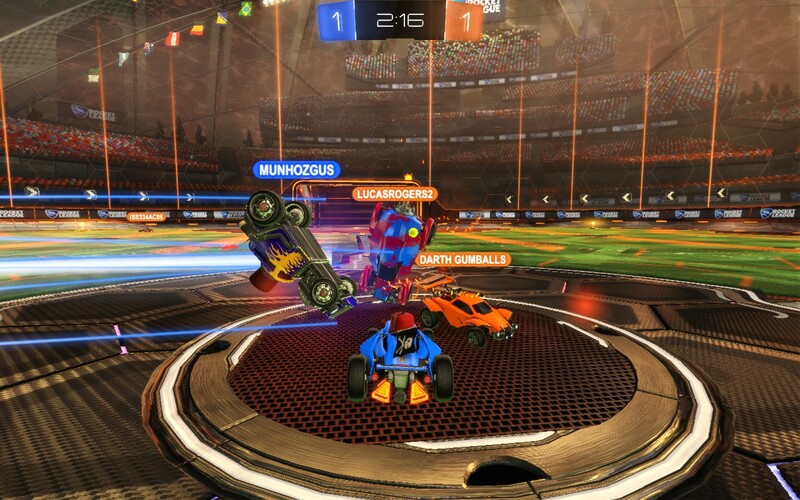 I was incredibly excited for Rocket League’s arrival on the Xbox One this week. I had played it previously on my MacBook’s Windows 10 partition, but it never ran quite well. 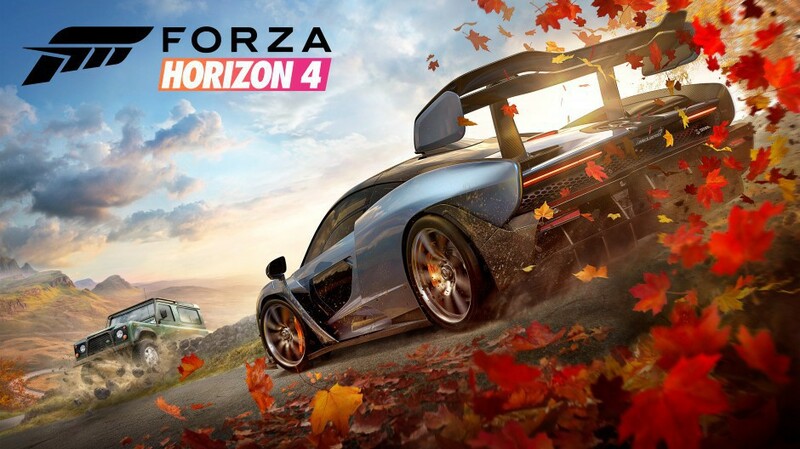 I figured I’d wait to enjoy the game when it released on Xbox. Last night after work, however, I was met with disappointment. Every game I played was unbearably laggy. So laggy that the game was unplayable. My car would constantly stutter and reverse direction over and over again and would randomly transport around the arena. I stuck the matches out, hoping it would get better, but it never did. I rarely came into contact with the ball, and by some miracle I managed to accidentally score a goal, brushing past the ball just before the opposing player knocked it into his own goal. At the end of each match my ping was shown as being anywhere from 50 to 300, but even at 50 the game was unplayable. I’m currently deployed which is likely the reason for the lag as the only servers are in the U.S. and Europe, but I have no issues with games such as Destiny or Battlefield on the same Internet. A quick search on Google revealed that I was not alone, as many Australian players have reported lag making the game unplayable for them as well. Hopefully the server issues are worked out in the near future, otherwise I’ll be waiting even longer to finally enjoy Rocket League. Developer Psyonix’s Rocket League released on PC and PS4 on July 7th of this year and almost instantly became a smash hit. 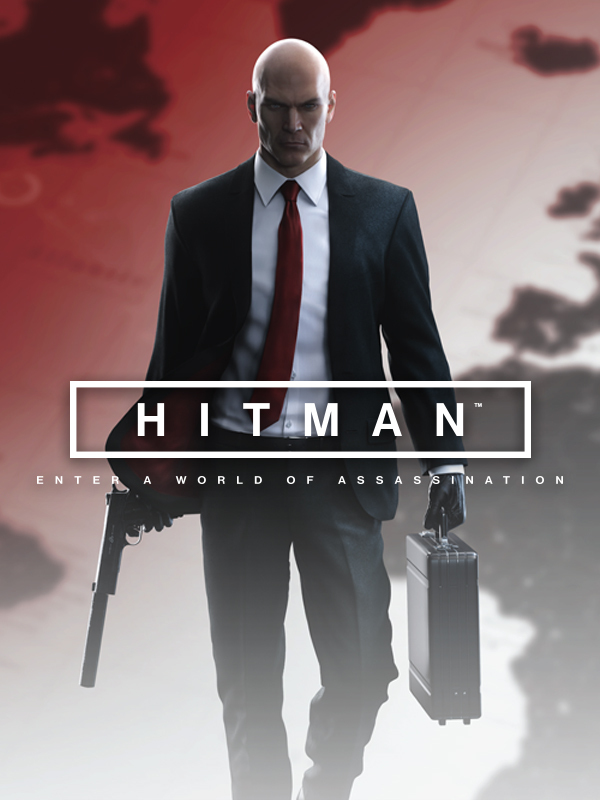 The game was made available for free to Playstation Plus members which helped get it into the hands of the masses rather quickly (it’s been downloaded over five million times). Many who played Rocket League became immediately hooked and raved about the game to all their friends. 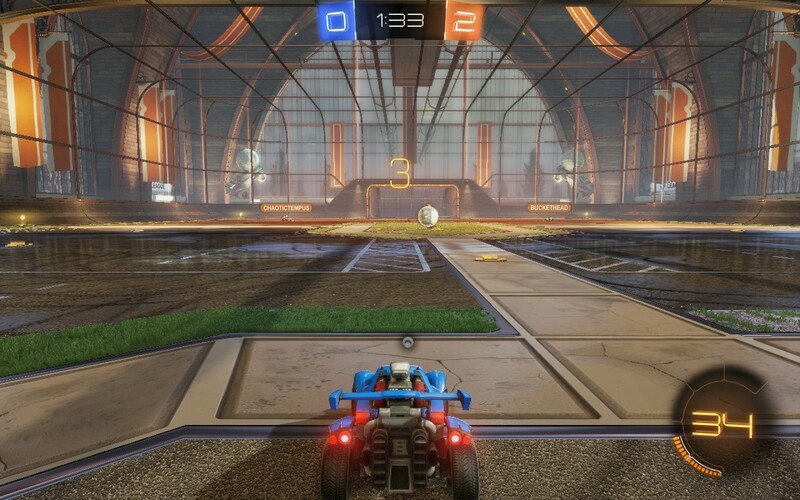 In Rocket League, teams of between one and four RC cars face off in a soccer arena with one simple goal: knock the soccer ball into the opposing team’s goal. The gameplay is rather simple, you just drive into the ball in an effort to push it into the goal. You can also pick up boost which allows you to drive faster, useful for trying to get a jump on your opponents or when you need to chase down a wild ball. You’re also able to jump and spin in the air, which can be used to knock the ball out of the air or into the goal assuming you’re able to time it right. 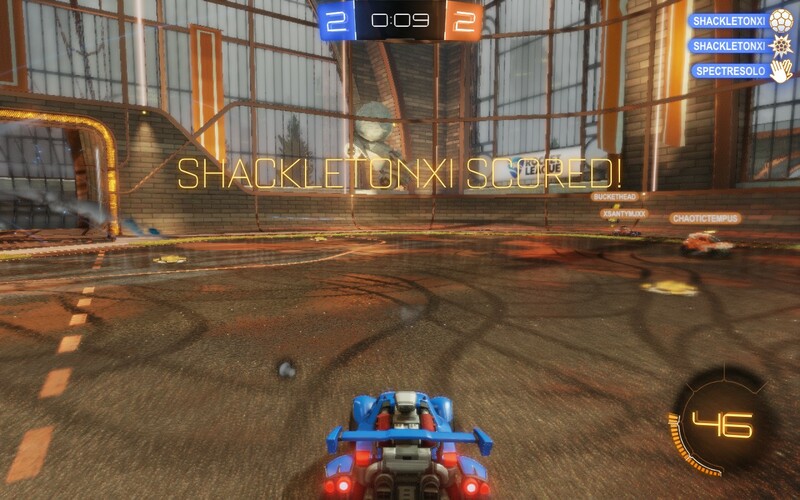 Matches in Rocket League are short and sweet, just five minutes (unless you go into a sudden death overtime) which makes it a perfect pick up and play game. The problem is, once you pick it up you’re not likely to put it down. Rocket League matches are so wildly fun you’ll even have a blast losing. Matches that seem one sided can sway in favor of the losing team at any moment, and sudden death overtime is always a looming possibility. The rush of a tying goal with just seconds left on the clock never gets old. 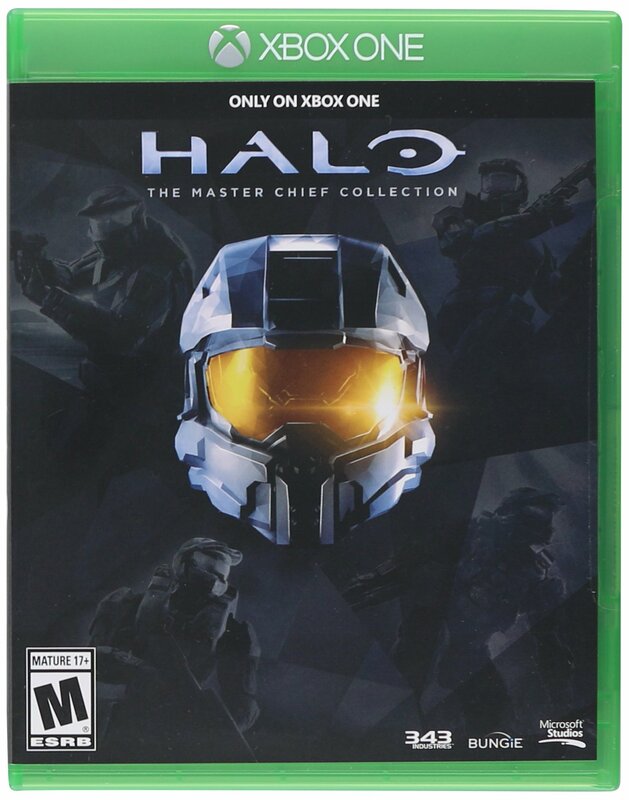 I’ve known of Rocket League’s existence for awhile, however I had been holding out for an Xbox One version. 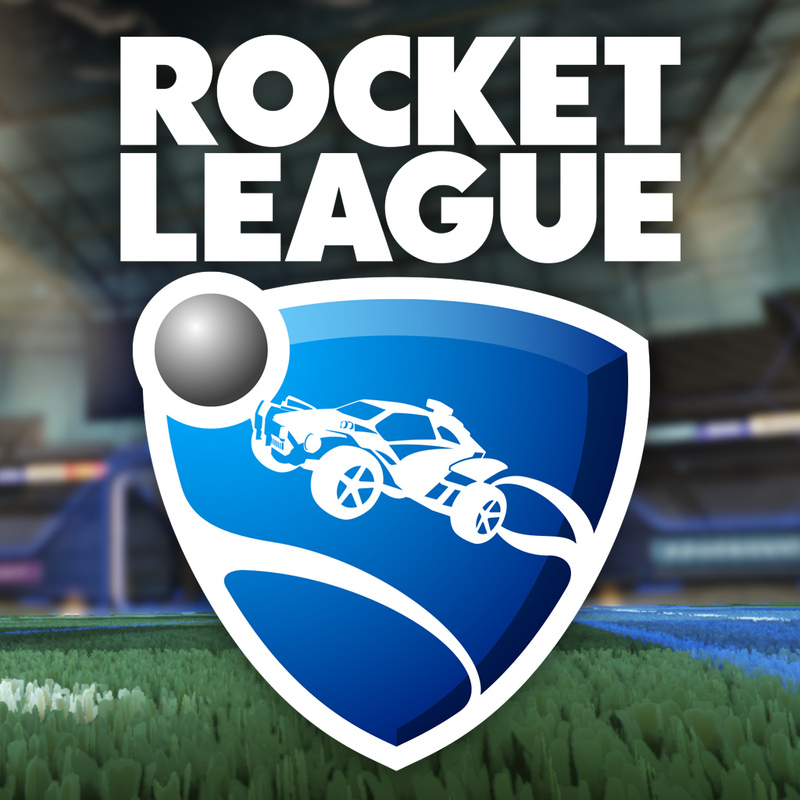 We know Rocket League is set to expand onto other consoles, we just don’t know exactly when this will happen. 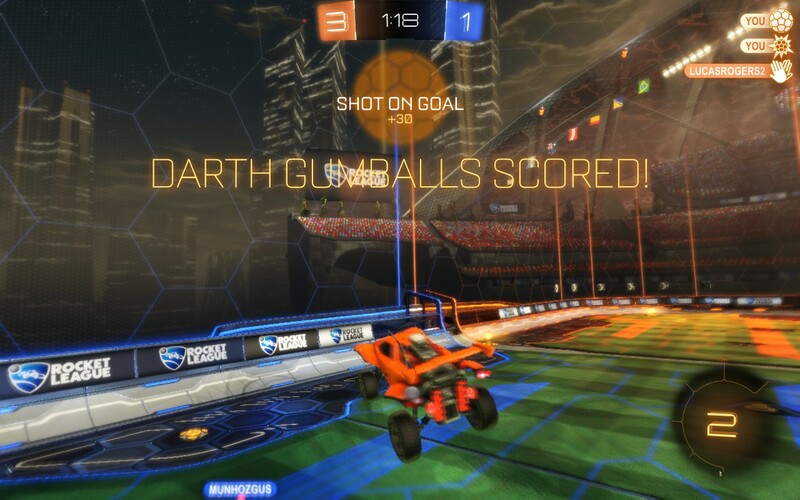 Today I finally broke down and picked up Rocket League on Steam ($19.99) and it’s been a blast! I’ve only played a handful of matches but I’m already hooked. The very first game I played went into overtime with an equalizer scored with just nine seconds left on the clock. My team went onto win with a spectacular goal and I immediately saw just how exciting Rocket League could be. I scored my first goal during the second game and I can’t wait to jump back into another game! I’m playing Rocket League on a 2012 MacBook Pro running Windows 10 via Boot Camp. It has an Intel i5 (2.50 GHz), 8GB RAM and an Intel HD 4000 graphics card. It runs well on medium settings, with a few hiccups here and there which may just be lag (I can’t quite tell, adjusting graphic settings up or down doesn’t seem to have an impact).